Hong Kong Tower is one of the most graphically stunning online slots game played with its 5 reels and 99 fixed paylines. The theme is based on the city’s largest triple towers that offer a breathtaking view of the city below. The wailing sounds of police sirens, the cool breeze of the wind and busy streets of the city make you virtually a part of this amazing city. There are some nice sound effects during the gameplay to make the game more entertaining. The betting limit starts with 20p and goes up to a maximum of £100 each spin. There is also a jackpot level where you can win some huge stakes of money. 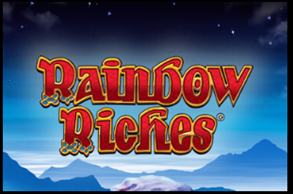 This wonderful online slots game was developed by ELK software, a popular gaming company that has produced several unique slots for online users. Their games come with different types of bonus features that contribute to those high stake wins and that has really made the brand a popular name in the online casino community. This online slots game is played with four top value base symbols and they are gold plated 7, lotus, diamond and a bonsai tree. The gold 7 is the highest valued symbol which pays 1500 times your stake on five symbol landings on a payline. There are five random Chinese symbols that form to become the lower value symbols that appear more frequently during every spin. The bonus symbols of the game are represented by the game logo, blue yin-yang, and a red yin-yang. You can also choose one of four predefined betting strategies anytime during the game. Mystery Bonus: The game logo is the mystery symbol and it is called so because once the reels stop, this symbol can reveal any other symbol including blue yin-yang. This does not reveal the red bonus symbol. This can appear as single or in a stacked formation. Red Bonus Jackpot: The red yin-yang symbol is the scatter feature of this online slots game and three or more of its appearance during a spin triggers the jackpot bonus game. There are three sub-levels here each represented by a giant sky wheel on top of each of three towers. The first level is a blue wheel that offers max win of 2000 times the stake followed by with 10,000 and finally the red with a high of 50,000 times. With stacked wild feature and high stake paying jackpot game, this online slots game is the best when it comes to richly paying rewards with an RTP of 96.3%.